Waste paper pulp from HD cleaner in turn flows to M.C. pressure screen, light impurity separator and reject separator. During this process, the plastic sheet will be removed and reject in time. This process will be recycled for several time until treated by fine screen. Paper pulp coarse screen is an important process in waste paper pulping, relieve the following equipment burden and increase the finished paper quality. 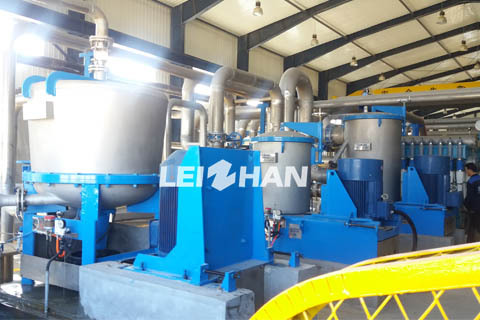 Leizhan company provide your efficient paper production with there machines for removing impurities. 1. High Efficiency. These three machines all has special impurity discharging device, the pulp and impurities can be separated effectively. 2. Energy Saving. Energy-saving rotor are adopted on these equipment, which can reduce the amount of water usage and energy consumption in production process. 3. Low Fiber Loss. This system has a extremely low fiber loss rate, the impurities that discharged from reject separator does not contain any fiber.